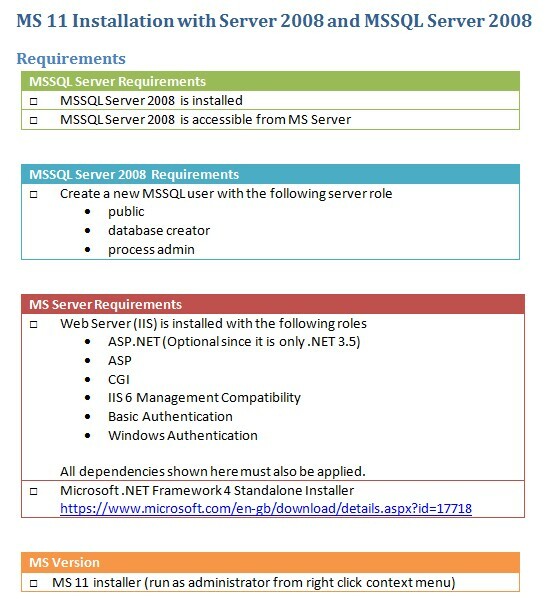 Here is a simple checklist for Management Server 11 installation with MSSQL 2008. Note that this checklist prepares the system for Management Server installation using local MSSQL accounts. As far is i know you do not need the compatibility - components any more with Management Server 11.0. Thank you. A coworker mentioned it. The doc and screenshot has been updated.